Railpictures.ca - Michael Berry Photo: Built as an ET44AC prototype, GECX 2039 sports a humpbacked profile not found on production models of the ET44AC. It is seen stopped at Coteau as CN 372 works the yard. While it still sports a demo paint scheme and GECX reporting marks, it is owned by CN and will soon be renumbered to CN 3128. | Railpictures.ca – Canadian Railway Photography – photographie ferroviaire Canadienne. Caption: Built as an ET44AC prototype, GECX 2039 sports a humpbacked profile not found on production models of the ET44AC. It is seen stopped at Coteau as CN 372 works the yard. 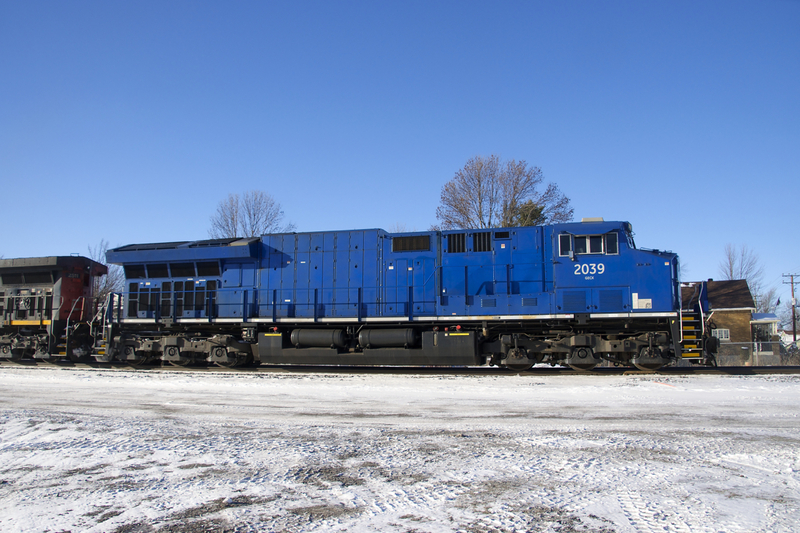 While it still sports a demo paint scheme and GECX reporting marks, it is owned by CN and will soon be renumbered to CN 3128.